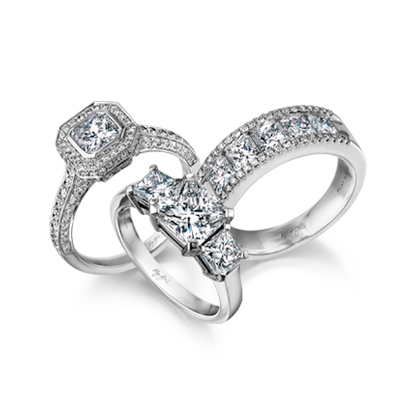 The Millennium diamond ring shown contains a 2.03ct heart shaped Shimansky diamond and is set in 18K white gold. Crafted to perfection at our in-house jewellery workshop, this unique designer engagement ring can be especially created based on your specifications with a hand-selected Shimansky diamond. The most romantic of all shapes, the heart is both classic, and memorable. 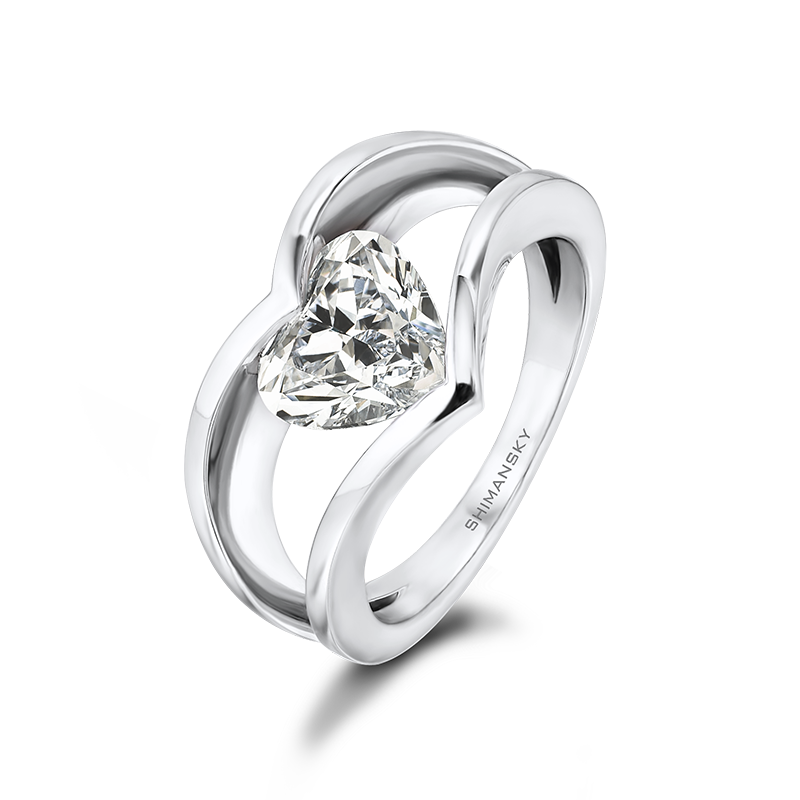 The Heart Millennium Diamond Ring holds a stunning heart shaped solitaire diamond, cut to perfection. A Shimansky exclusive, the unique setting of the diamond allows for it to radiate with incredible brilliance. 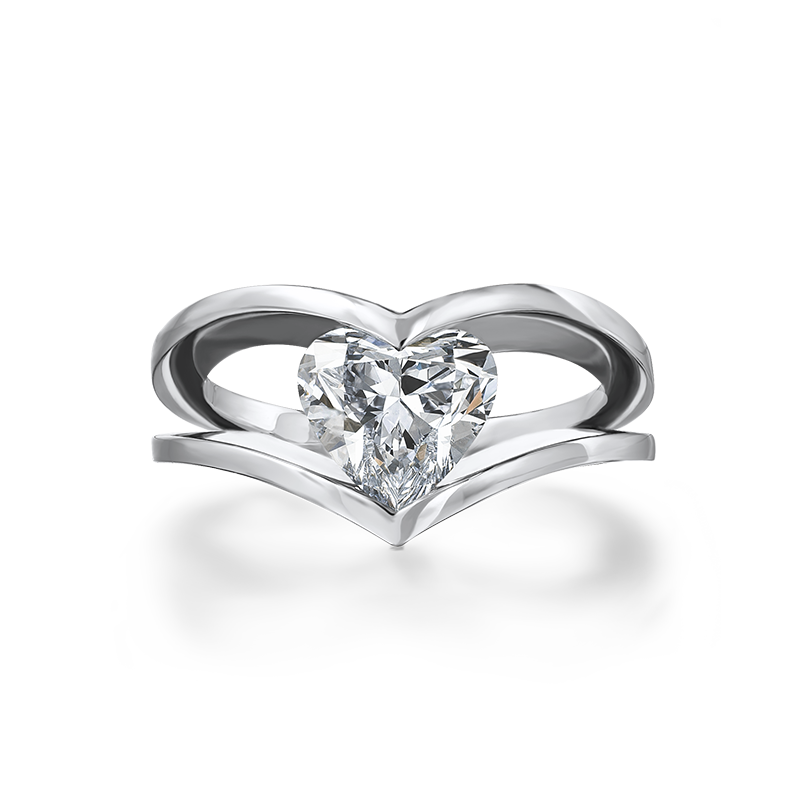 Held firmly between two bands that take the shape of the heart, the diamond is the focal point of this magical design. Just like two lives are joined togther through marriage, and held together by the promise of a lifelong commitment, the Millennium ring consists of two bands, which hold a solitaire diamond (the symbol of forever). A timeless design, the Heart Millennium Ring is created to be enjoyed now, and for years to come.